This entry was posted in Oblivion (2013), ~ scifianimatedgifs and tagged agentive, cockpit, control, lever, mapping, NASA, throttle. Bookmark the permalink. Reblogged this on Blueyork Mag. I knew I had seen that left “Target” screen before! “RelMo provides a graphic representation of the relative motion between two vehicles, a “chaser” (usually the Shuttle) and the “target” (ISS, HST, or some other free-flying vehicle or payload). The origin is target-centered, and the plot of the chaser is projected onto an X-Z (downrange-radial) plot with respect to the target. 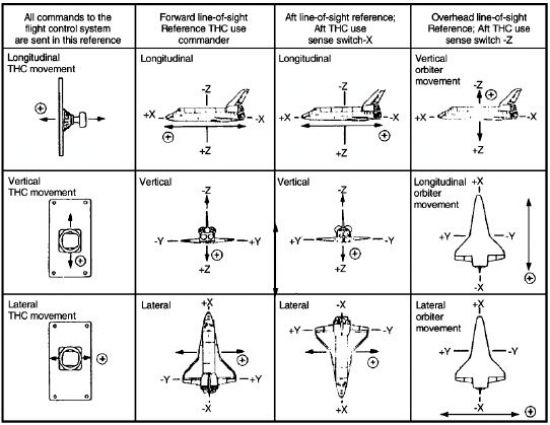 This gives the FDO an at-a-glance view of how the two vehicles will be moving with respect to each other in space. I stand corrected. That’s really cool! I still have no idea how to read that screen after reading through the documentation (adding “learning how to fly a spacecraft with pure math” to my bucket list), but I get the impression that all the information needed is there. 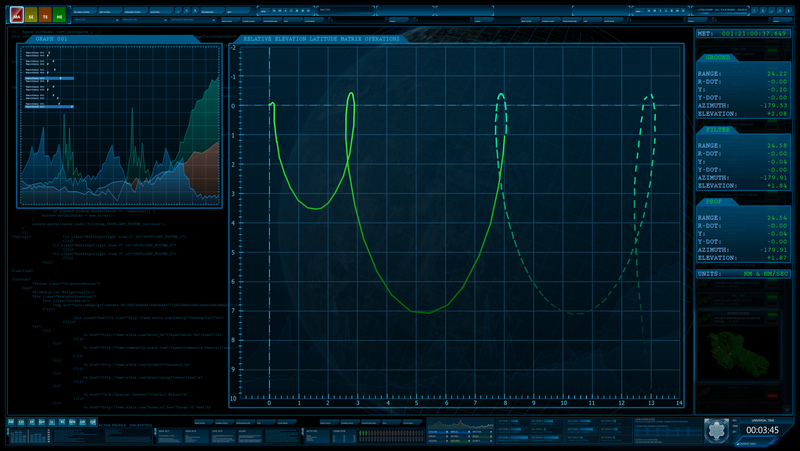 edit: just figured out that the dotted line is the target, and the craft is moving right-to-left in time on the graph. Neat little Easter Egg (since it looks like the Odyssey is on a nominal path). Recognized the image as I used it as a reference on a personal piece back in 2011. Reblogged this on Umbrella Host.